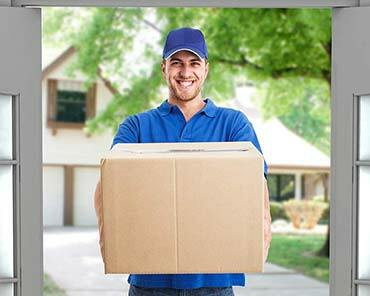 Choose one of the best and most professional removals operators in Sydney. For over 20 years Acme Removalist has been considered as one of the most experienced and reliable home and office removals company in Sydney. Acme removalist in Sydney are here to ensure professional, efficient and punctual moves for all of our clients. Acme Removals specialises in office, residential and furniture removals and throughout New South Wales and interstate. Moving home and family can be challenging, let professionals help you. By choosing ACME Removalist Home Removalists, not only will receive the most efficient competitively priced relocation service. Whether it is a big job or small. We guarantee our clients complete satisfaction. Let our professional advice and experience help you make the best decisions when it comes to moving homes. Everything is carefully wrapped and packed systematically to avoid damage during transport. When it comes to home removals in Sydney, greater NSW or Interstate removalist understand the importance of choosing the right company that you can trust to take every care of your property and personal belongings. To us everything in your home is priceless, and our experienced staff take care in packing, storing and relocating your belongings. For more enquirers Contact Acme removalist at (02) 9314 5666 to get free online quotes. If you need help with office removals in Metropolitan Sydney, the suburbs, regional NSW and interstate. The Acme Removalist moving team will be your best choice as we have extensive experience with businesses, small or large. Our team is committed to provide customers with the best transporting services aimed at professionalism and efficiency. To protect your furniture and property our team use special materials and equipment to pack and move your equipment and furniture during the removals process. Acme removalist in Sydney will make all necessary arrangements with building management and relevant council departments to ensure that parking locations for our trucks are convenient for your location. Your office furniture can be setup once relocated according to your floor plans and property set up. We’re been rated as one of Sydney’s most reliable companies, having years of experience after doing thousands of removals. Acme removalist have picked up a few things we’d like to share with you. Our staff can visit your home or business to perform a pre-inspection and give you the best advice on the most efficient way to pack and relocate. Acme removals can also offer free quotes. Acme removalist will come to your location before the move at an arranged time to supply the necessary packing and materials you may need. Acme removalist in Sydney provide our Relocations and Removal service in the following areas- Centennial Park, Chifley, Clovelly, Coogee, Coogee Beach, Kensington, Kingsford, La Perouse, Little Bay, Malabar, Maroubra, Maroubra Junction, Matraville , Pagewood, Phillip Bay, Port Botany, Randwick, South Coogee & University of New South Wales.